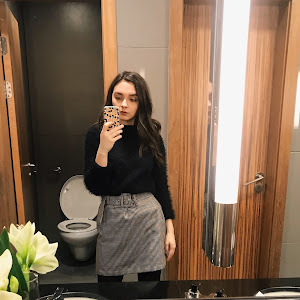 Finding products that I truly adore to the point of using them day in day out, repurchasing them over and over again year in year out has always been something I find difficult. 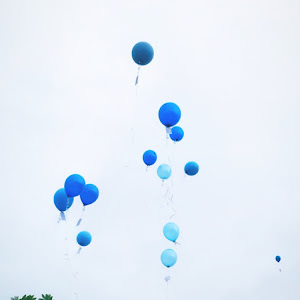 I am so indecisive about products, I always love trying out new things and I guess it often leads to me writing "this is my favourite..." one week then the next something else is my favourite. 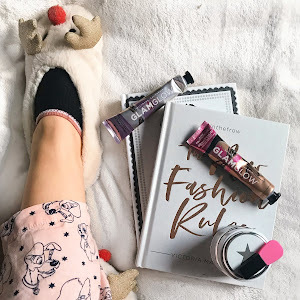 I promise I am not one of those girls who just favour any product that is sent to her or has been sponsored by a brand, but I am very experimental with my beauty products and love to test out the newest releases and I guess I am also slightly materialistic and love a good old shopping spree. That being said, however, I have found one brand that I use consistently throughout my skincare regime and I cannot see them leaving my heart anytime soon. I love this brand so much I use three of their products religiously every single day of my life and have done for months now, that brand is Magnitone London. 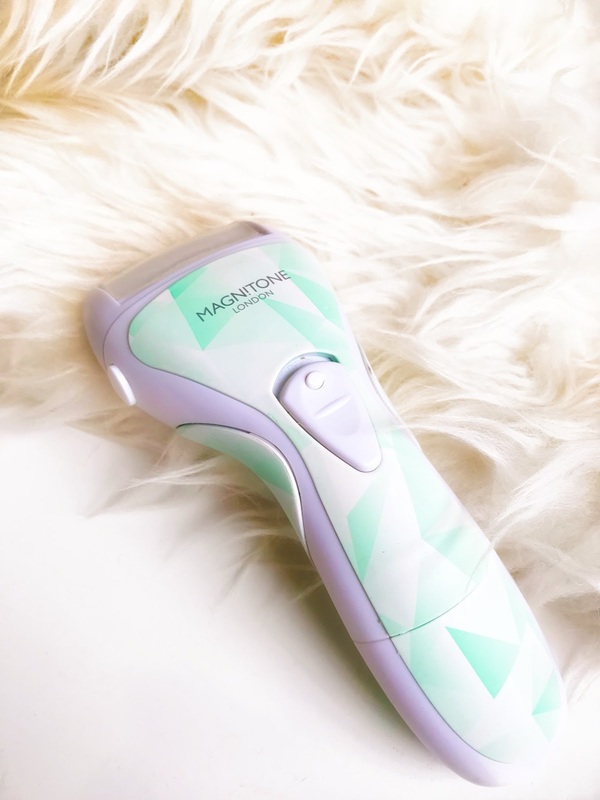 For me, Magnitone is a brand everyone should own at least one product from, they are one of my top 5 brands especially when it comes to beauty tools. Since Christmas is on its way I wanted to share with you the beauty tools that you should either have on your own wishlist or have on your gift list this season and they are all from my favourites over at Magnitone. I started using Magnitone way back in 2015 and since then I have owned three of their Barefaced cleansing brushes, in fact, their Barefaced was called the lucid when I got my first one, a throwback for any OG Magnitone fans out there. I have been using the Magnitone Barefaced daily on and off for over two years now. I have taken small breaks here and there when it comes to my skincare regime, but I have basically used it daily for over two years. 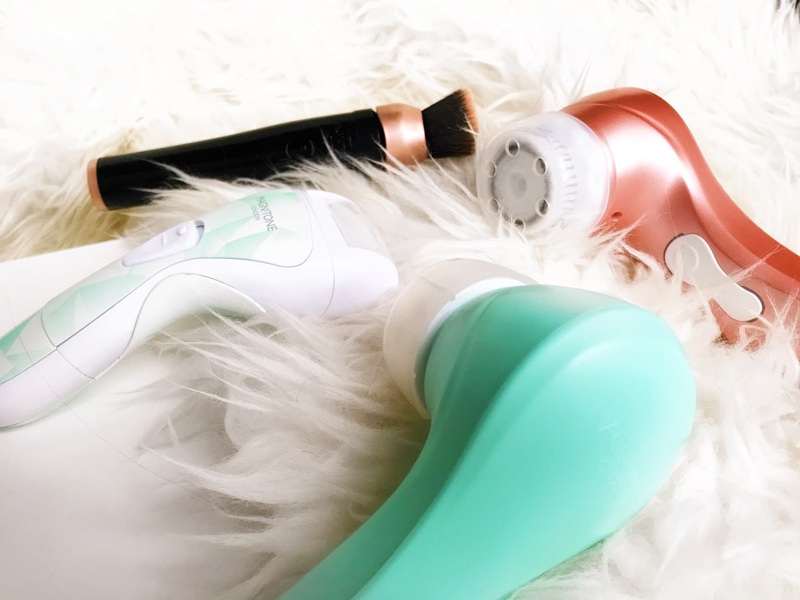 Before my discovery of the Magnitone Barefaced I had never even heard of a cleansing brush, it was so intriguing, how on Earth did you cleanse with a brush? Why would you brush your face? There were so many questions and I'm guessing you may have the same questions. 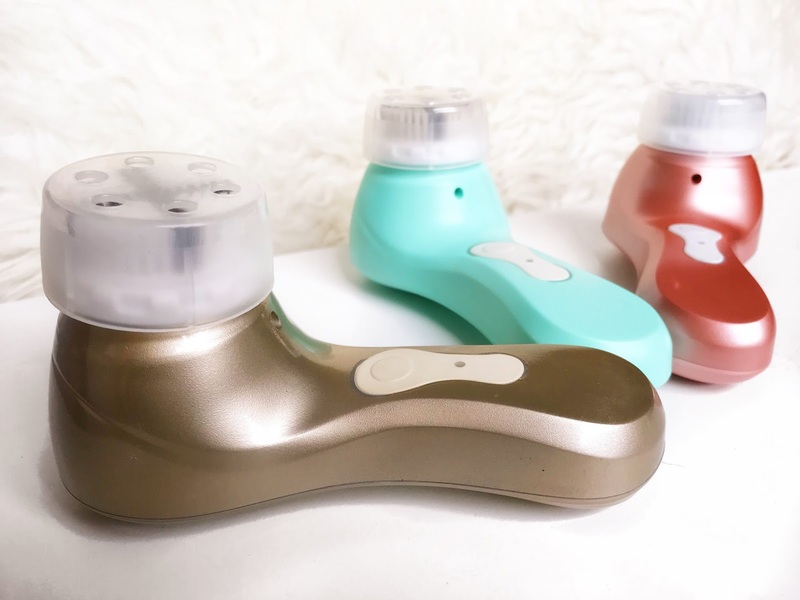 I recently spoke about why you need to own a cleansing brush and you can find that post right here, but for now, I just want to cover the basics. These brushes are so amazing that I barely ever get any spots and when I do they fade much quicker than they did when I wasn't using one of these. You can switch it up and use different cleansers, different types of cleansers, I have even used a face wash with my barefaced, it all works fantastically. My favourite is to use a gel cleanser, not only does it seem to soak into the brush bristles better but gel cleansers are my favourite for everyday cleansing to keep the skin in tip-top condition. These brushes are definitely travel-friendly, they may look big and clunky, but it is definitely worth it to pop this in your bag, plus the battery lasts forever so you don't have to worry about recharging it when you're away. One of my absolute favourite things about these brushes is that they have interchangeable heads, this means you can always make the brush work with your skin or your skin problems at that moment. They have heads for sensitive skin, heads for dry skin, heads for normal skin, heads for a deeper cleanse and I have used most of them and loved them. 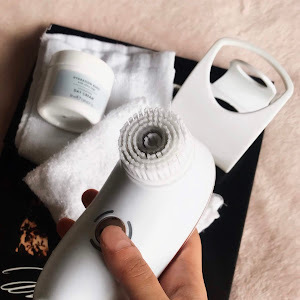 The exfoliator head can be a little strange to get used to as it is quite uncomfortable but the brush's sensitive cycle helps with this as it slows the movement of the brush head. The brush can be adjusted to suit anyone and any skin type and that is what makes it so incredible because skincare cannot be a one size fits all kind of deal. Magnitone later branched out into more than just cleansing brushes and along came their pedi set. Now, I had never used an at home pedi set before I got this one because A) I was terrified and B) I don't trust myself because of A. I found myself very drawn to the idea of an at home pedi set however, after all they are super convenient especially if you are like me and tend to get very rough skin on your feet. I know feet aren't something a lot of people like to think about nevermind having to read about, but if you want a full review of this product I have posted one previously over here. This product terrified me and I was sure I was going to burn myself or accidentally shave away half of my toe, but they are pretty safe, I mean I wouldn't give it to a child, but I am a semi-functional adult and I use mine all the time. This product works absolute wonders, upon my first use I used the harder and rougher head which really got to work on the rough skin of my feet, smoothing it down and getting rid of it, since then I have only ever used the softer head, this may be because I now use this regularly and never let my skin get too hard or it could be because I now moisturise my feet to no end. I have told every single person who has complained to me about having hard skin on their feet that they just have to buy this product and that they will thank me later because I love it that much. It is definitely something people will need in the winter especially if you don't want to have horrible looking feet in when you head out to Christmas parties with strappy shoes on. Once again it is another travel-friendly product and it could maybe even be better since it takes batteries so you never have to worry about it running out as long as you have some spare double As lying around. This one is their newest release and I am absolutely obsessed to the point I use it every single day when I wear makeup. It is such an innovative product and definitely one you have to see for yourself. I was incredibly excited to try it out and I feel so lucky to have been sent one by the brand. I use it every day to apply my foundation and blend in my concealer, I love it for liquid products but have used it before for both setting powder and powder foundation and loved it. I did a full review here too if you want a more thorough talk through the product. Just like all other Magnitone products it has a variety of interchangeable heads to suit whatever makeup you are using or makeup look you are going for. This is something I adore about Magnitone, they are never a one size fits all brand, they understand that each and every single customer is unique and has their own unique needs. 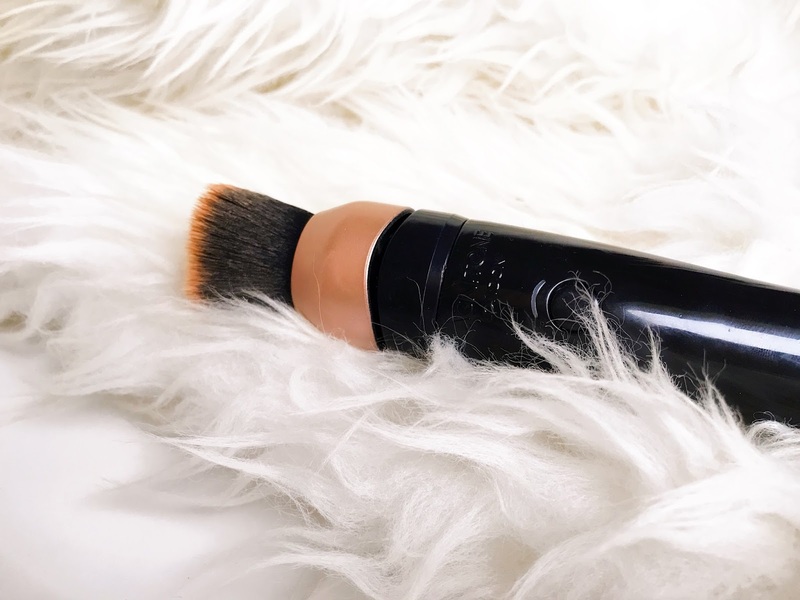 The brush leaves you with a stunning airbrushed finish to your foundation, but there is one problem and that is getting used to it. Within my first week or so of using the brush, I found my makeup could look heavy and cakey because I was using the same amount of product as I would with a beauty blender. You use much less with this brush and the vibrating head blends it into your skin perfectly. The brush is one you would be popping into your makeup bag for retouches throughout the day so don't go throwing out your beauty blenders, they are definitely useful to carry with you, but I don't think I could ever go back to applying my foundation with a beauty blender again. I compared the finish of this brush to the finish of a beauty blender in the post I linked above and knowing the difference it made to the texture of my skin has sold me on this brush being my only foundation application tool from here on out. So there are the three Magnitone beauty tools you need to add to your Christmas list, what brands are you loving right now? Are there any brands that are consistent throughout your beauty routines? Tell me in the comments below. THIS POST IS IN COLLABORATION WITH MAGNITONE LONDON.